Having a dealership that has a great selection is only half of the battle when you are in the market for used Ford cars for sale in Seattle. You also need to have convenient financing options as well as a service department that you can count on whenever you need regular maintenance and repairs. Luckily, Carson Cars is well known for all of these things along with an award winning customer service team to make your overall buying experience the best that it can possibly be. Carson Cars is a family owned and operated used car dealership that has been in business for nearly 50 years. During this time, the team has built up plenty of experience while gaining awards for being the best to deal with in the area. Each vehicle comes with a guarantee and has been through a strict inspection process. When you buy a vehicle and drive it off of the lot, you become part of the Carson Cars family. Are you worried about not having the best credit when you are looking for a loan? Not a problem! Carson Cars offers a finance team that works in-house so that you can get the financing that you need at a rate that you can afford. Whether you have poor credit, good credit or no credit at all, we will stop at nothing to make sure that you get financed and end up behind the wheel and happy in your next new to you Ford. 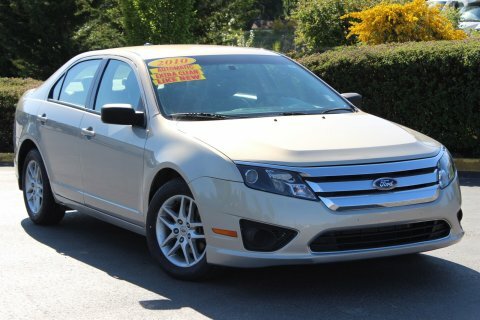 Buy your next vehicle with Carson Cars and shop used Ford cars for sale in Seattle. Call us (855)583-9356 today for selection and pricing information or simply stop by to take the Ford that you have been looking for out for a test drive.